Starting this weekend, some Louisville-area cyclists will reap the benefits of wearing a bicycle helmet, thanks to an educational safety program implemented by AAA East Central, McDonald’s® Bluegrass Operator’s Association and the St. Matthews, Anchorage, Eminence, LaGrange, and Louisville Metro Police Departments. As part of the AAA East Central’s Helmet Smart program, police officers on duty will issue safety citations when they witness a young bicyclist wearing a helmet while riding. The citation can be redeemed for one free Happy Meal® at a participating Louisville-area McDonald’s restaurants. Additionally, AAA East Central will be holding drawings throughout the summer (June thru August) for a new bike and helmet each month. 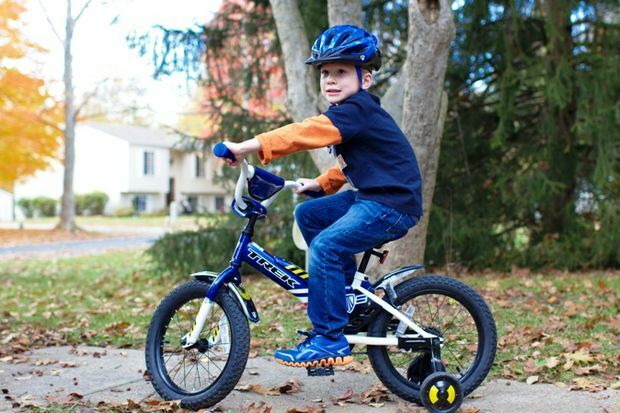 AAA stresses that a bicycle is not a toy. Using a helmet reduces the risk of brain injury by 85 percent and can prevent life-long consequences. Crashes can occur on a sidewalk, in a park or on a bicycle path. Most crashes occur when a cyclist is starting or stopping. McDonald's USA, LLC, serves a variety of menu options made with quality ingredients to more than 25 million customers every day. Nearly 90 percent of McDonald's 14,000 U.S. restaurants are independently owned and operated by businessmen and women. Customers can now log online for free at approximately 11,500 participating Wi-Fi enabled McDonald's U.S. restaurants. For more information, visit www.mcdonalds.com or follow us on Twitter and any of the 171 McDonald’s Bluegrass Operator’s Association Facebook pages.